Online gambling operator, Sky Bet, have signed on to become the new headline sponsor for the new Summer Sprint Series at Windsor. The event will take place at the Royal Windsor Racecourse. Officials for Arena Racing Company (ARC) and the racecourse announced earlier this month that the Sky Bet Summer Sprint Series will consist of nine qualifying races. The races will be run over five and six furlongs. The first of which took place earlier this week on Monday evening. The event will continue on the popular Monday night fixtures at Royal Windsor. Each race will be worth at least GBP £10,000. This will also include two GBP £20,000 handicaps. The Sky Bet Summer Sprint Series Final will take place over six furlongs on Monday, the 15th of August 2017. The races will be worth £75,000. To qualify to enter the final, horses will need to finish in one of the top six positions in at least one of the qualifying races. Head of Partnerships at Arena Racing Company, David Leyden Dunbar, said that the ARC was excited to have Sky Bet as their partner on the Summer Sprint Series. He also added that the two companies have partnered in other events over the years and therefore the collaboration is expected to go really well. Executive Director of Royal Windsor Racecourse, Stuart Dorn, also weighed in on the occasion. He also expressed his excitement over the races and Sky Bet’s involvement. Dorn also mentioned the he is rather keen to see who comes through to compete in the final races in August of this year. 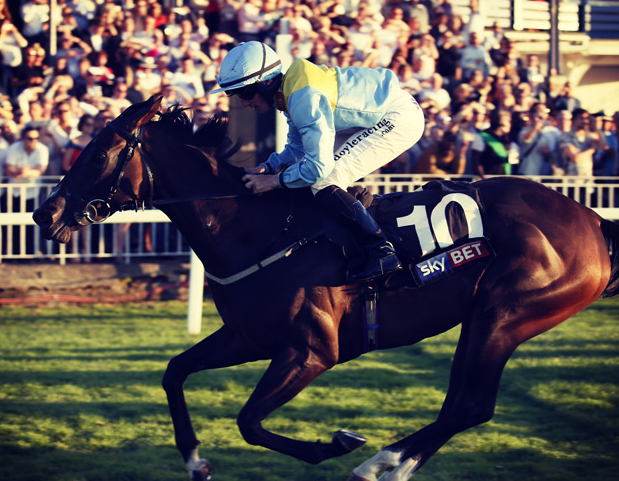 Racing PR Manager at Sky Bet, Michael Shinners, said that Sky Bet too was excited by this collaboration and that he too is looking forwards to the races that are to be held in August. Sky Betting & Gaming Plc. Sky Betting & Gaming Plc. is a UK- based British gambling company, with headquarters in Leeds and West Yorkshire. They also have offices in other UK cities, such as London and Sheffield; as well as other European cities, such as Guernsey and Rome. The brand is owned by CVC Capital Partners and Sky Plc., and consists of the following entities – Sky Bet, Sky Vegas, Sky Casino, Sky Poker and Sky Bingo. Also under its umbrella is the leading online betting odds comparison site OddsChecker. Additionally, they operate Soccer Saturday Super 6 and Sky Sports Fantasy Football, which are two extremely popular, and free to enter football prediction gaming services. In December 2014, it was announced that Sky would sell a majority stake to CVC Capital Partners. The share at the time was valued at GBP 800 million. The sale was completed on the 19th of March 2015. The original company, Sky, retained a 20 per cent stake in the company. On top of that, they had also agreed to a long term licensing deal with Sky Bet for the Sky brand. The revenue figures that Sky Bet produced come as no surprise. The company pays great attention to creating a fulfilling customer experience. Their players are able to place bets through their website or over the telephone. Not only that, they also take bets using their mobile apps and interactive television services through Sky TV. The company was one of the first to jump on the mobile bandwagon. They introduced iOS apps for both the Apple iPhones and iPads; as well a compatible service that allowed android devices to access their content. They had the distinction of being one of the few sports betting companies in the UK that did not operate traditional high street betting shops. Sky Bet was predominantly known for the slogan “It matters more when there's money on it,” but decided to market the unpredictability that surrounds betting by introducing a new slogan in October 2011. The new slogan read, “Nothing's certain, that's why it's exciting.” The company also used the tag line “What If” to advertise topical, sports betting in special markets. Their popularity could also be gauged by the dedicated TV channel they had operated by the name of “Sky Bet.” This was available on Sky channel 864 and was ultimately closed down on 14 February 2012. Sky Bet is licensed and regulated by the Alderney Gambling Control Commission (AGCC) (GCB). The origins of Sky Bet can be traced as far back as 2003. In July 2000, BSkyB decided to acquire the Sports Internet Group, which included Surrey Sports and two similar smaller companies, called Planet Football and Opta Index. Surry Sports was a small telephone and online sports betting based company that ultimately morphed into Sky Bet, which grew even further following the consolidation with 365 Media Group. This brought two gambling companies – Total Bet and UK Betting under the same umbrella. As a result, Sky Bet features prominently through advertising and shared content on the former 365 Media Group sites as well as skysports.com. Sky Bet has also managed to attract top footballing talent, Jamie Redknapp, to be the face of the brand’s footballing product.